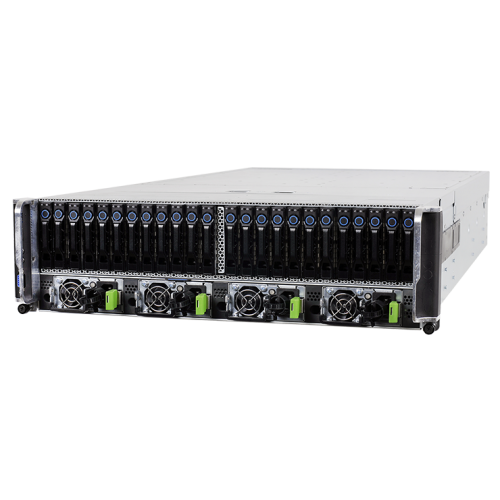 QCT continues to innovate the industry by introducing the QuantaPlex T21W-3U, the first x86 based system that employs high-bandwidth, energy-efficient NVLINK interconnect to enable extremely fast communication between eight of the latest NVidia GPU modules (SXM2). This technology enhances data sharing rates up to 12 times faster than the conventional PCIe Gen3 interconnection protocols. 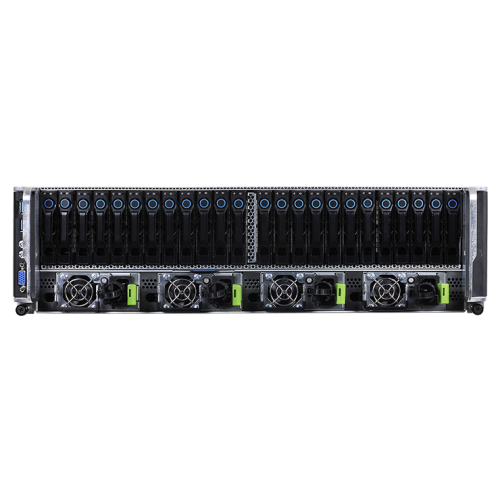 This dynamic architecture combines high powered Intel®Xeon® E5-2600 v3, v4 family CPUs and NVidia SXM2 GPU module capabilities to enable thousands of cores for advanced parallel computing that thrive at a multitude of big data processing applications that include pattern analytics, forecasting, image-intensive processing, engineering, high performance computing, computational research, deep learning and more. 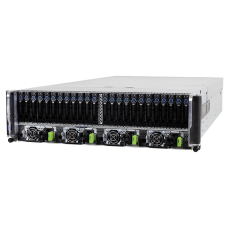 The QuantaPlex T21W-3U utilizes Remote Direct Memory Access (RDMA) fabric design enables four PCIe expansion slots directly connected to NVLINK topology to improve performance, throughput and lower transfer latency of data access and transfer across the network. This technology allows the exchange of data in memory between servers without engaging the processor, cache or OS, enhancing performance by not consuming compute resources and facilitating faster data transfer rates by eliminating the need to copy data between application memory and data buffers. RDMA has been proven to be advantageous for high-speed cluster applications and data center networks. Along with possessing significant processing capabilities, the QuantaPlex T21W-3U also hosts up to 20 HDD/SSD drives. While 20 drives is a considerable amount, the genius in the design is not the amount of drives accommodated, but in the high-bandwidth bus technology used to rise above the legacy storage bus barrier. Legacy storage bus technology is designed for hard disk drives, but solid state drive technology is capable of much more. A total of eight SSD drives can be connected through NVMe interface that is designed specifically for SSD to take advantage of pipeline-rich, random access, memory based storage, lowering latency and increasing bandwidth by up to 2.5 times over legacy protocols.